Keith Day is a Wealth Advisor and Financial Analyst for Russell Capital Management. He also serves as the firm's Chief Technology Officer, overseeing the firm’s portfolio performance reporting systems. Originally from London, Kentucky, Keith grew up on his family's farm where they ran a commercial greenhouse, raised cattle, and grew tobacco. Keith found his passion for investing early, buying his first two stocks – Boeing and Turner Broadcasting – when he was in middle school. Keith continued to pursue this interest in college at the University of Kentucky, where he interned with Russell Capital during his junior year. 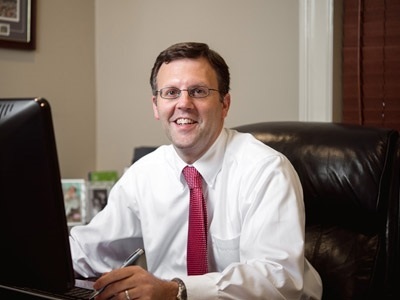 After completing the internship, Keith continued to work part-time for the firm and assumed a full-time position in 1995, after graduating from UK with a degree in finance.